It’s almost the most romantic date night of the year! Valentine’s Day is almost upon us – are you ready? If you haven’t planned anything because you’re worried about your bank account – do not worry! We have compiled of list of fun Valentine’s Day date night ideas for you and your S.O. that will not break the bank. You don’t have to spend a lot of money to have fun with that special someone! Sometimes all it takes is an old fashioned game of monopoly and a bottle of affordable wine from the grocery store. 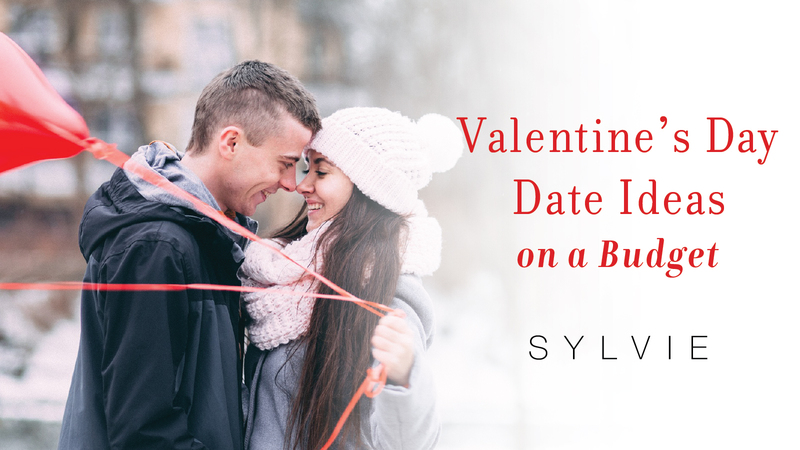 Keep on reading for our fun Valentine’s Day date night ideas. Since most of the country is experiencing freezing temps, planning a bonfire night is a great idea to warm up! It also sets the romantic tone for the both of you. 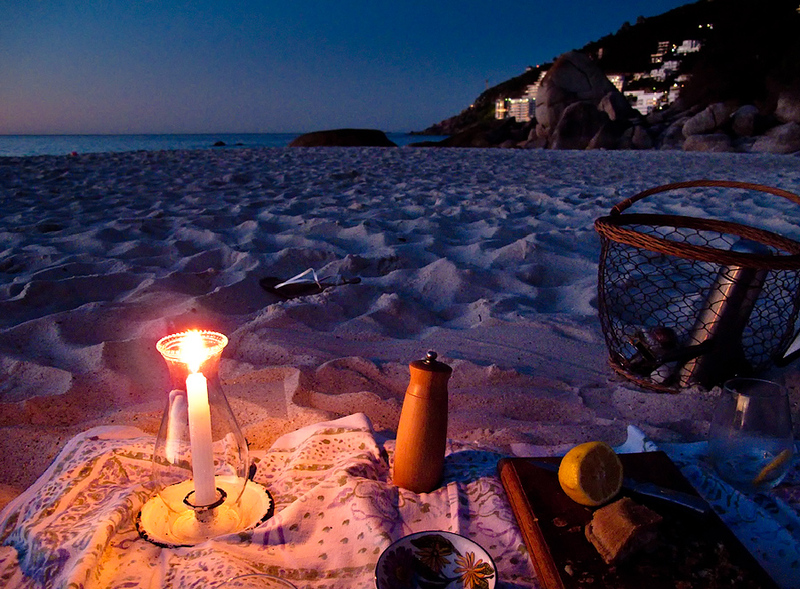 Gather your blankets, some treats, a bottle of wine, and that special someone and take it to your backyard or the beach. Some beaches have bonfire rings where all you need to buy is wood, which can be inexpensive at the grocery store. If you already have a bonfire pit in your backyard then you can gather some wood and you’re set to go without even leaving your house. Don’t forget the s’mores on this date because that is the best part! A romantic date night on a budget! If your lady or man has a sweet tooth, then this is any dessert lovers dream date. All you need is cake mix, a cookie decorating kit, or even a cake pop machine. Depending on which route you want to take, at the end of the night you’ll end up with yummy desserts and a Valentine’s Day date night on the couch with just you and your special someone. 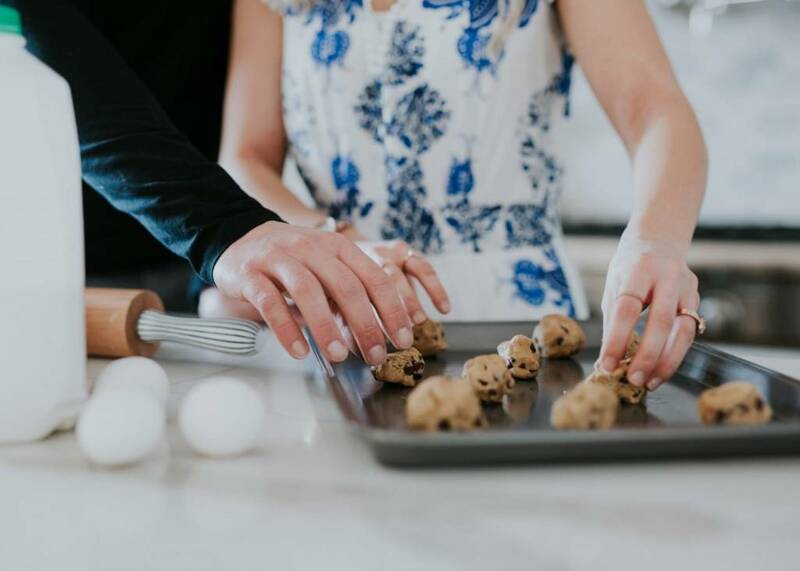 This is a great Valentine’s Day date night idea for couples who love to bake and spend time at home – definitely budget friendly. It also allows you to work together with your S.O. and be as creative as you want. Allowing laughter and fun to fill your night will allow you both to bond this Valentine’s Day. 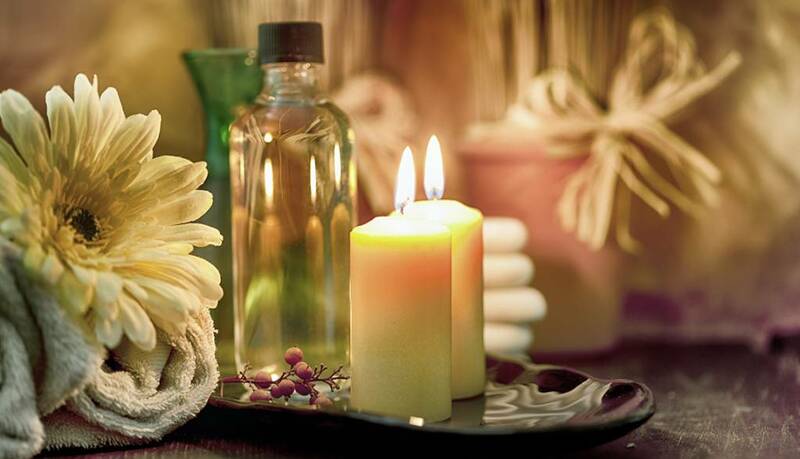 DIY spa night – most girls’ dream, maybe not so much for the man in your life, but you can try! With this date, you have to just go with your gut – you’ll really know if your man would be into doing face masks and foot massages. This Valentine’s Day date night can such a great way to be silly, take photos with your face masks, and even make DIY spa treatments like massages and lotions. An inexpensive DIY project – you don’t have to go out and spend a bunch of your hard earned money on face masks, lotions, and massage oils, when you can make them at home with some foods you might already have in your pantry. Another great way to save money and still enjoy a date with your S.O. is a picnic in the outdoors. No waiters, no bill, no waiting to eat – this is time between just the two of you and you can enjoy the food you already have at home. If you do need a few supplies – the grocery store sells pre-made sandwiches, which don’t cost too much and snacks too. Anyways, it will be way more budget friendly at the park than at a restaurant especially on Valentine’s Day. Since we are always on our phone and cooped up inside these days, enjoy your date outside and take in some calm and chill time that you never get together. This date idea goes hand in hand with the baking. If you want to start off the night cooking together – then you’ll have a home cooked meal and dessert. If your S.O. and you love to create dishes in the kitchen, then this is the date for you. Get a recipe or even whip something up off Pinterest. Be creative and work together – adding a bottle of wine and music can make the night even more relaxing. Not much $ going into this date except for yummy food that you already have at home, fun music, and quality time spent together. Bring back the child within you and pull out the board games. Now this date, doesn’t require any money – it’s absolutely free! Such a great way to save money, enjoy yourselves, and be silly for a change. Board games can bring out the competitive side so make sure not to let the night be carefree and silly. 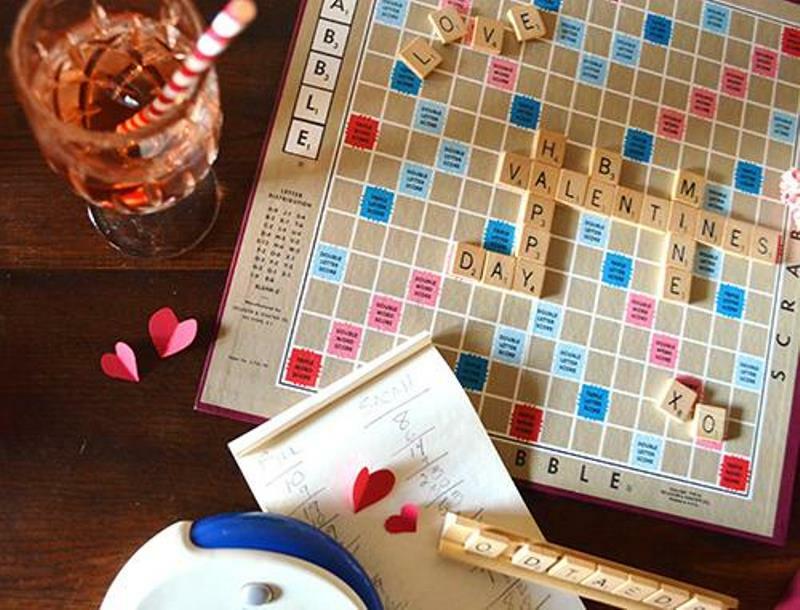 This is even a fun Galentine’s date night idea for the single gals. Gather your best friends, grab a bottle of wine, and get playing your favorite game of Clue or Trouble.